The Architecture Research Colloquia is initiated and organized by the PhD candidates and young researchers of the Faculty of Architecture, University of Innsbruck. It is an independent platform that gives current researchers the possibility to invite guest lecturers of their own interest. In the context of the Colloquia current PhD students and faculty presenting and share thoughts on developing work within a conversation format. 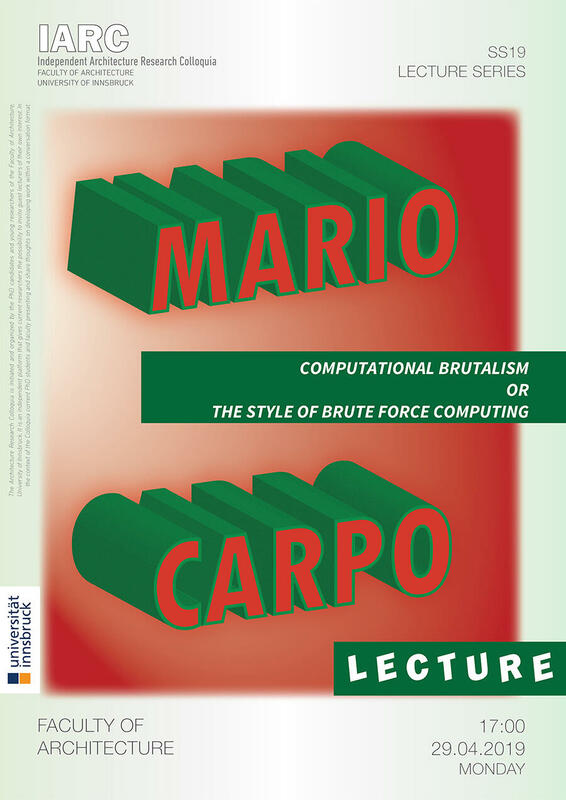 ...upcoming seminar with Prof. Mario Carpo. For more information, see "past events"